Mr. Lawley is dedicated to obtaining the best possible result for his clients. He practices Criminal Defense exclusively. When people are charged with commiting a crime they face many difficult and confusing choices. The state has virtually unlimited resources at its disposal and it will use those resources to try to convict them. You do not have to go through this alone. The right attorney does make a difference. 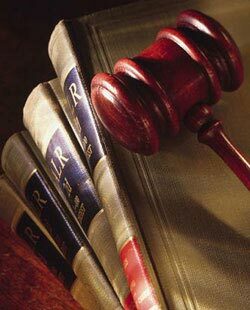 You must have good legal representation in order to fight the charges brought against you and minimize the potential consequences you face. Mr. Lawley has aggressively defended many individuals in felony, misdemeanor and infraction cases. He is in the courtroom almost every day interacting with the judges and district attorneys. He has been very successful in obtaining acquittals and reduced sentences for his clients. Mr. Lawley will personally represent you. He will not farm your case out. ♦ Reasonable and competitive flat fee for services. ♦ Payment plans to fit most budgets can be arranged. ♦ VISA and MasterCard are accepted.